The Driver and Vehicle Standards Agency recently published data showing that 9 out of 10 vans, weighed over the course of 2015, were over the maximum weight limit for their vehicle size. This results in 90% of vans on UK roads being hazardous and in breach of weight limit laws. During 2015, 2381 vehicles were checked by DSVA as a part of analysis, who are now pleading that companies secure their vehicles with further reports and teach their drivers about the importance of following health and safety regulations while filling vehicles with loads. The Society of Motoring Manufacturers also revealed data that indicated a quarter of vans purchasable in the UK are available with advanced collision warning systems, along with autonomous emergency breaking systems. Even with all the advancements in technology improving driver safety on the roads, overweight vehicles remain at risk to the driver and other vehicles on the road having a hazardous impact on the breaking distances and handling. Society of Motor Manufacturers and Traders Chief Executive: Mike Hawes stated "Manufacturers are investing significant amounts in new safety technology, but this can only do part of the job. We continue to urge operators and owners to comply with the law to keep themselves and others safe, avoid the risk of fines and keep the threat of further legislation at bay." Venson wants companies to think about the usage of their vans more, considering the working environment and the amount of goods carried during long journeys, which is when overloaded vehicles become the most hazardous. 1) Be aware of your vehicle’s weight/weight limits, this information can be found in the driver handbook. 3) Make sure the load is distributed equally. After deliveries, double check distribution of remaining loads and that they are secure within the vehicle (heavy items on the bottom, light on the top). 4) Ensure the GVW is checked before setting out using your own weight pads or use a public weigh-bridge. Alternatively consider having your vehicle fitted with on-board weighing systems. 5) Never automatically trust declared weights, invoices or delivery notes given to you by customers. 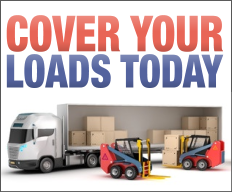 Remember that you and your employer hold the responsibility for not overloading, not the customer. 6) Loads should be secured to make sure they do not slide around during transport. In vehicle storage solutions may help. 7) Loads should be secured to make sure they do not slide around during transport. In vehicle storage solutions may help. 8) Carry out health & safety assessment for loading and unloading the vehicle, both internal items and external items such as ladders, materials etc. 9) Consider alternative storage solutions. What was once carried on the roof/side of vehicle is now not necessarily required. Meanwhile, the FTA stated that vans are more important to the UK’s economy than ever before, with retailers delivering as more customers shop online, van work is predicted to soar in the next few years with an estimated 860 million parcels delivered to homes across the UK during 2016. The Department for Transport’s data demonstrating that van traffic growth increased more than any other vehicle type in the UK backs up the FTA’s statement. On the matter, Mark Cartwright (FTA Head of Vans) said: “If ever there was a need for evidence to support how vans power our daily lives, the latest DfT figures provide it. There are now over 4 million vans on UK roads, covering more miles than ever before, and their numbers are growing at a rate faster than any other type of vehicle.